During the fall of 2018, it was rumored that a construction site positioned next to Tafuna High School and South Pacific Academy was intended to be a shooting range for the US Army Reserve Unit. The public was not included in the initial planning of this project nor was it made aware of the purpose of this building until the project was well underway. A few attempts were made by the US Army Reserve to hold a community forum to explain and address public concerns on their plan to install a Modular Small Arms Range (MSAR) facility near the schools but they were not well attended because of the poor communication and publicity of the events. 1. It is built in a school zone within a few feet of the public Tafuna High School campus and the private South Pacific Academy campus. 2. It poses a danger to the students and the general public in the area. 3. It is in violation of the Federal Gun Free School Zone Law. Tafuna High School is the largest public high school in the U.S. Territory and enrollment is over 1,100 students. Majority of the PTA and community agree that having a shooting range within a few yards of the school poses a major threat and danger to the safety of students and faculty members. 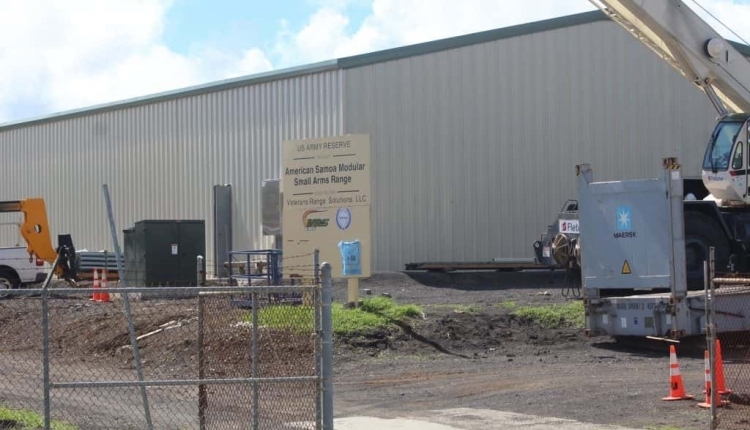 We, the undersigned, call on the American Samoa Government to relocate the U.S. Army Reserve Unit Shooting Range from its current location near Tafuna High School and South Pacific Academy. We also humbly request that the existing building be donated to Tafuna High School to help resolve the ongoing overcrowding issue and be used for classrooms. The Relocate Army Reserve Shooting Range - Tafuna, American Samoa petition to Tafuna High School PTA was written by Luisa Kuaea and is in the category Local Government at GoPetition.